Welcome to Holland Specialty Tours & Travels! Our tailor-made, personalized tours, driver/guided tours and services for individuals and groups, is the best way to discover the Netherlands and its surrounding countries. 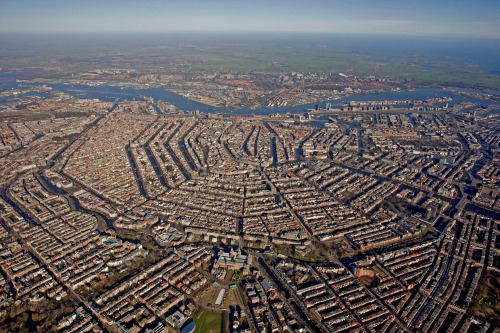 * Geneology Tours 'Go back to your roots'; we'll find your existing relatives in the Netherlands. * Visit Diamond Galleries in Amsterdam and Antwerpen - the most exclusive in the world. * Seasonal Happenings like the Christmas Markets in Germany, Belgium and Holland. We customize the tour to your likes and include great routes, hotel bookings and events according to your budget. Just let us know what your interests are and we will propose an itinerary for you. Tours can be for half a day or several days. See the Dutch and Belgian Tours as well as the ones in the surrounding countries. * Is a certified member of the Netherlands Guides organization "Guidor"
* Loves to plan your holiday and tell you about our rich History, Art, Architecture, Agriculture, Gardens, Culture. Private tours are conducted in a comfortable Chrysler Voyager Grand Van, with plenty of leg-space and double air-condition. These are 7 seaters including the driver/guide. Ask prices for private excursions with more than 4-5 passengers. Soyez les bienvenus, mes Dames et Messieurs! Mes tours comme chauffeur-guide, sont très professionels et personnels. Voyager avec nous, c’est passer par les digues et les moulins – éviter les auto-routes le plus possible. Bien-sur nous verrons tous les monuments importants ainsi que les trésors cachés d' Amsterdam! Je vous invite de visiter les musées de van Gogh, Rijks Museum, la maison d'Anne Frank et l'Hermitage avec moi! Vous serez surpris de la liberté et de l 'indépendance que vous aurez pendant nos tours. Herzlichen willkommen, meine Damen und Herren! Entdecken Sie die Niederlande mit Ihrer Private, Diplomierte, Chauffeur/Reiseleiterin. Sie werden erstaunt sein von der Freiheit und Unabhängigkeit die Sie bei diesen Ausflüge erfahren werden. Wir werden alle wichtige Monumenten sehen aber auch die verborgenen Schaetze Amsterdams! Sie sind eingeladen um mit mir folgenden Museen zu besuchen: das Rijksmusem, das Van Gogh, die Hermitage und das Anne Frank Haus. Meistens fahren wir durch mahlerische Dörfer, über Deiche, Flüsse und Windmühlen entlang - selten gebrauchen wir die Autobahn. "Scoprite i Paesi Bassi con la vostra autista/guida privata e diplomata. Vi invito a visitare gli musei di van Gogh, la casa di Anne Frank, il Rijks Museo e l'Hermitage! Scoprite i tresore nascosti di Amsterdam! Sarete meravigliati dalla liberta e dall'indipendenza che sentirete facendo le nostre gite. Passiamo per villaggi pittoreschi, dighe, fiumi e mulini a vento, raramente prendiamo l'autostrada." We make tailor-made tours according to your wishes. 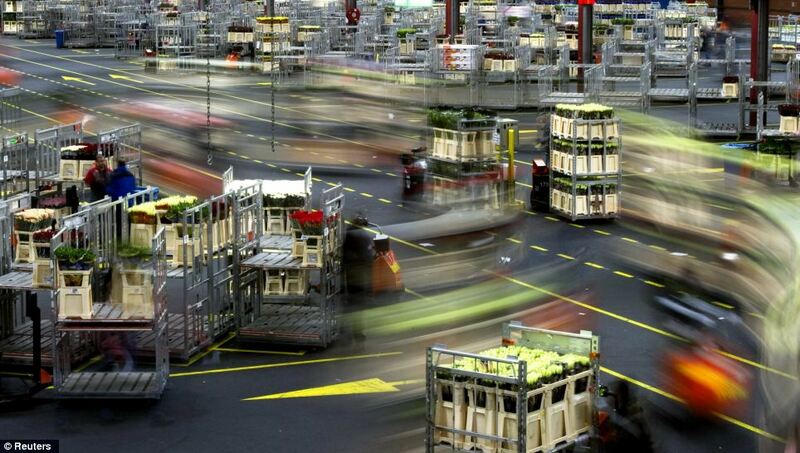 Aalsmeer's largest Flower Auction in the world (monday till friday), continue on to historic Delft. After a visit to the famous Delft Blue Pottery, we shall have a short walking tour and a lunch break in this picturesque town. Continue to The Hague, seat of the government with its Parliament buildings, visit either the "Mauritshuis" Museum for Ancient Art with paintings by Rembrandt, Vermeer and others, passing by the International Court of Justice, or the Grand Panorama Painting of Mesdag continue, to the harbours and beach of Scheveningen. This special itinerary is only available in the spring when the famous Tulips of Holland are blooming. After meeting your private licensed guide you depart for the Keukenhof Gardens at Lisse. En route you see many scenic roads, dikes and many photo stops! Once you arrive at Keukenhof, you will enjoy the 70 acre park which consists of gardens and greenhouses dedicated solely to Tulips. Nowhere else in the world are the flowers and colours of the spring as glorious as at Keukenhof. 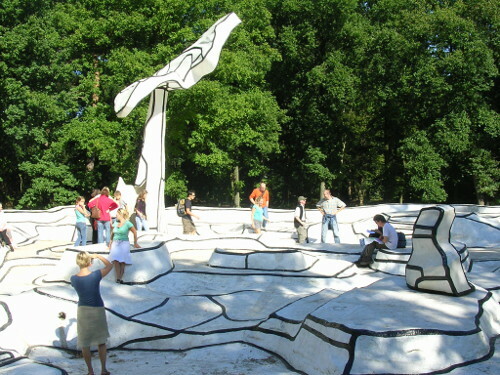 This Flower Park offers you the opportunity to see millions of bulbs in bloom, fantastic flower shows and the largest sculpture park in the Netherlands. Enjoy the spring! As you walk along the footpaths you will understand why this is said to be the greatest flower show in the world. In fact there are over 8 million bulbs planted each year. Enjoy the splendour of spring! Of course we shall also have a tour among the Flower Fields. You can add a visit to one of the following: the Windmills of Zaanse Schans - Volendam - Amsterdam, if you choose to stay 2 - 3 hours at Keukenhof. This tour lasts 8 hours for 5-6 passengers . Please look up our prices. Your personal chauffeur/guide will meet and greet you at the various docks in order to give you a private tour in our luxurious vans up to 5 pax (incl. a petite person) mini-busses (7/8 seater incl. a petite person). also possible for larger parties . We shall then book a tourbus + guide. DAY 1 Leave Amsterdam to visit the windmill village of the Zaanse Schans, stop for a short walking tour to picturesque Edam - famous during the 18th Century for its cheese - have lunch in Enkhuizen at its interesting Zuiderzee Museum - cross the Enkhuizerdijk to Oosterbeek (near Arnhem). Day 2 Visit the Kroller Muller Museum (Hoge Veluwe), famous for its Van Gogh's collection continue to Gouda, Holland's prettiest Market Square, short walking tour and lunch time. Drive to the Hague - city tour by passing by the Parliament, the Queen's Working Palace, the International Court of Justice etc. End in Scheveningen at your hotel. Naturally all tour and travel destinations presented on our website (and more, just ask) can be combined to accomodate you with a personal tour that can last 3 days or more. Dont hesitate to contact us with your ideas and wishes. Drive to the Royal family's XVIIth Century Palace Het Loo with its Queen's and King's Gardens. Continue to the National Park of the Hoge Veluwe and its famous museum of Van Gogh, Picasso, Cezanne, Renoir, Monet and Mondraan. Possiblity of cycling in theis beautiful park, available. If time permits, we can drive to Arnhem, where during World war II 'Operation Market Garden' and the battle of 'A Bridge too far' took place. Also called the Venice of the North because it has more that 100 canals, a 1000 bridges, 2500 house-boats and just one natural river. The River Amstel. This scenic sight-seeing tour is partly by van and boat and on foot! We will show you many interesting things in and around Amsterdam and also take you to the outskirts of Amsterdam to show you part of the country-side, while driving on a dike along the River Amstel and stop for a photo at a windmill. 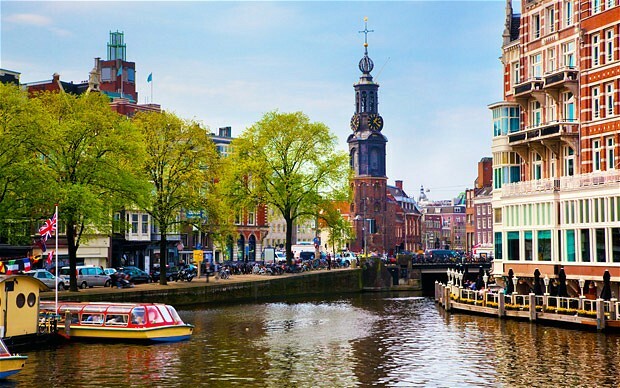 Tour the city by driving through the Dam Square, the Queens Palace, the skinny bridge, the Mint Tower, the Weeping Tower, the Red Light District, the Flower Market, the seven Bridges. We will enter the Anne Frank House and your choice of the Rijks Museum or the Van Gogh Museum. 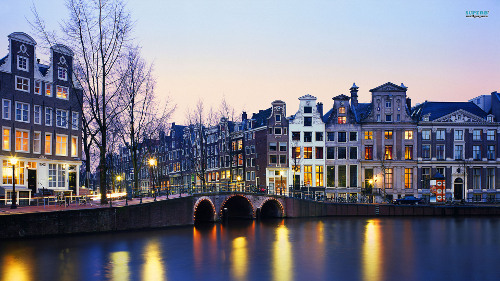 This same tour you can do without the Anne Frank House or change any visit on your itenary. Instead of the Anne Frank House we could take a canal cruise in Amsterdam (pre-reserved tickets). 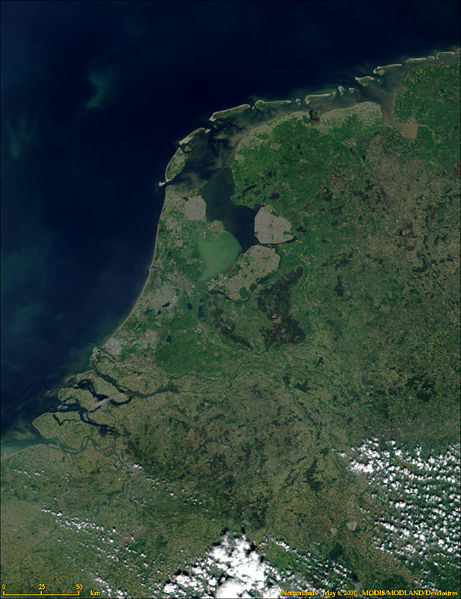 We will take a scenic drive out to the country-side north of Amsterdam. While crossing polders, driving along canals and dikes, our first stop will be at an authentic cheese farm that makes delicious, mouth watering Gouda and Edam farmers cheese. You will get a private explanation and tour, showing you the interesting process cheese go through prior to selling in the supermarket. Additionally, no cheese explanation is complete without a tasting! Sample the very delicious homemade cow, goat and sheep cheeses! Midday we will travel to Volendam, a fishing village. Volendam is still well-known for its old fishing boats and the traditional clothing still worn by some residents. The womens costume consists of high pointed bonnets and is often featured on tourist postcards from the area. You will have a short walking tour and plenty of free time to take pictures. The next sop is the former island of Marken, famous for its beautiful wooden houses and interesting architecture. After a short walking tour through the village and have a lunch break. Maybe you would like to eat some fried fish, or a typical Dutch pancake! For pancakes you should proceed to the next very picturesque small town before we go to the Anne Frank House!